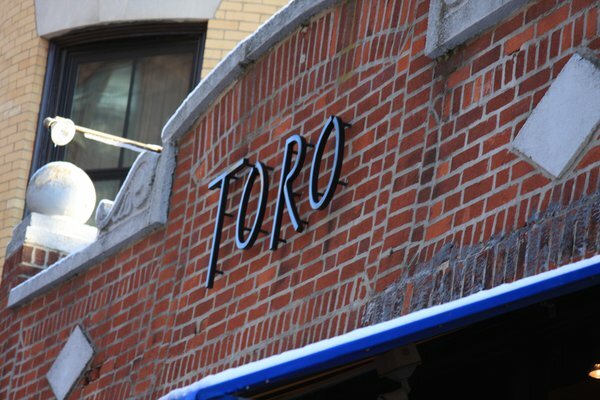 Toro is the joint creation of Ken Oringer and Chef Jamie Bissonnette (a James Beard Foundation nominee for Best Chef, Northeast 2013) that opened in 2005 and is expanding to a second location in New York City later this year. 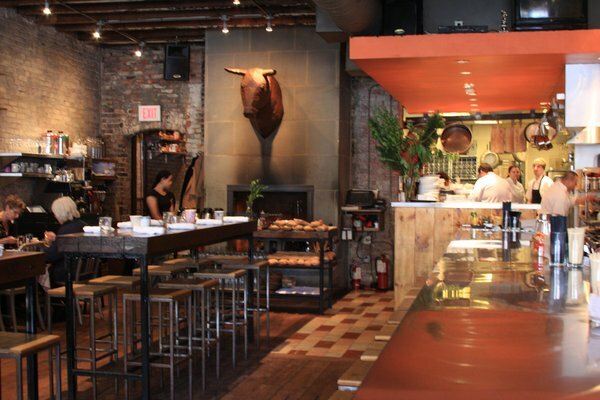 A Barcelona-style tapas restaurant featuring locally sourced ingredients in the South End, Toro has been met with critical acclaim, and a large fan-base. 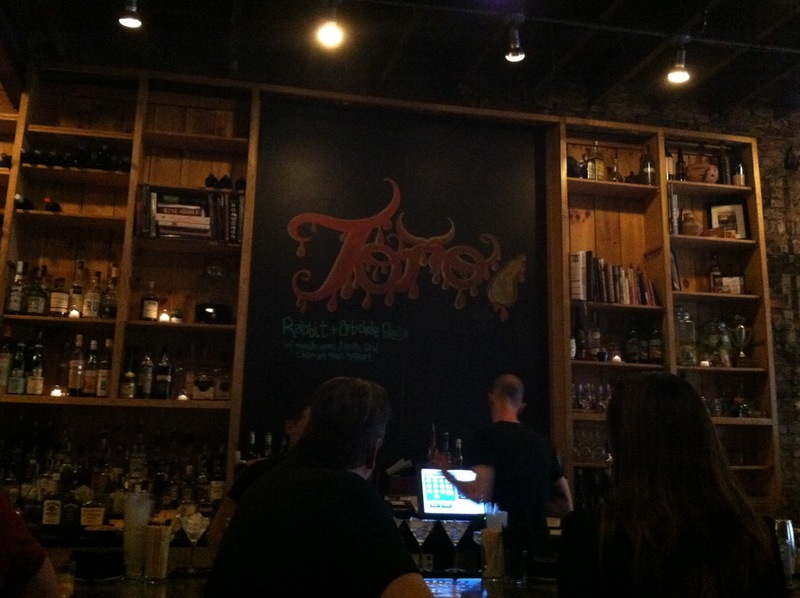 I have had Toro on my go-to list for a while now, but with no reservations being accepted, and three-hour waits being known on the weekends for dinner, I thought I would never find the time. One day after work I ran over to be there for their 5pm opening, figuring I would be seated immediately and guaranteed a spot! I was met with about 30 other people that had the exact same idea. Shocked, I added my name to the list, and sat at the bar while waiting for a table. I enjoyed a cocktail (the Briarpatch made with housemade raspberry vodka, rhubarb and lime), which was a bit sweet for me (but I'm a bit of a baby when it comes to sugary cocktails). A few minutes later we were seated at a tall table with stools, and by the time we were seated almost all of the tables had already been spoken for. 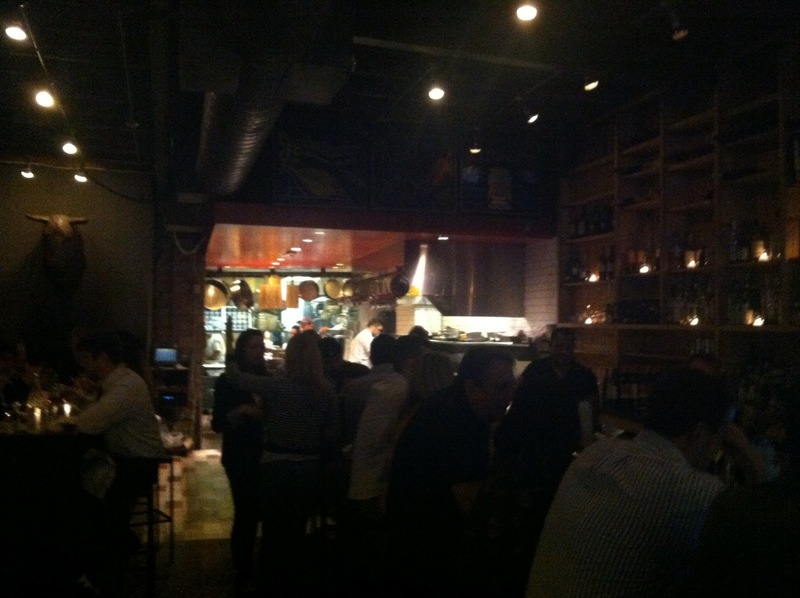 I was amazed, and even more excited for the food with all of this popularity. We started with the tortilla espanola, an egg, potato & onion omlet with aioli. This was my favorite dish of the entire night, and I couldn't stop eating it. I may have eaten more than my fair share of this dish, and I'm not really sorry about it, because it was so worth it. Next was the dish I thought would be the healthiest and lightest dish of the night, the gambas al ajillo: griddled garlic shrimp with cascabal chilies. I wasn't expecting a thick sauce nor a heap of saffron, and was looking forward to a punch of garlic, but was so sad when these didn't work out. I couldn't taste any garlic, nor any chilies, but rather just tasted an overpowering saffron. Our next dish was the empanada de pollo y patatas: housemade chicken and potato empanada with tomatillo salsa and aioli. 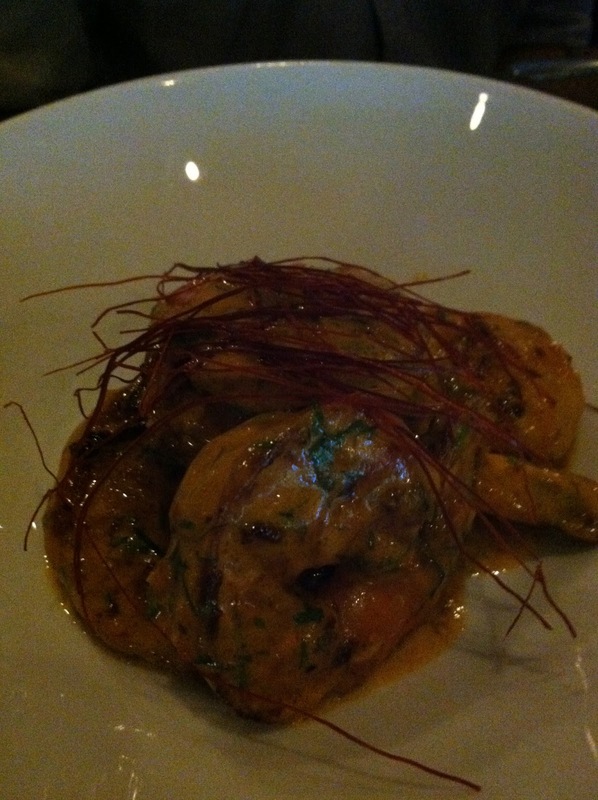 This dish was unmemorable for me, but my friends ranked it as one of their favorites for the meal. 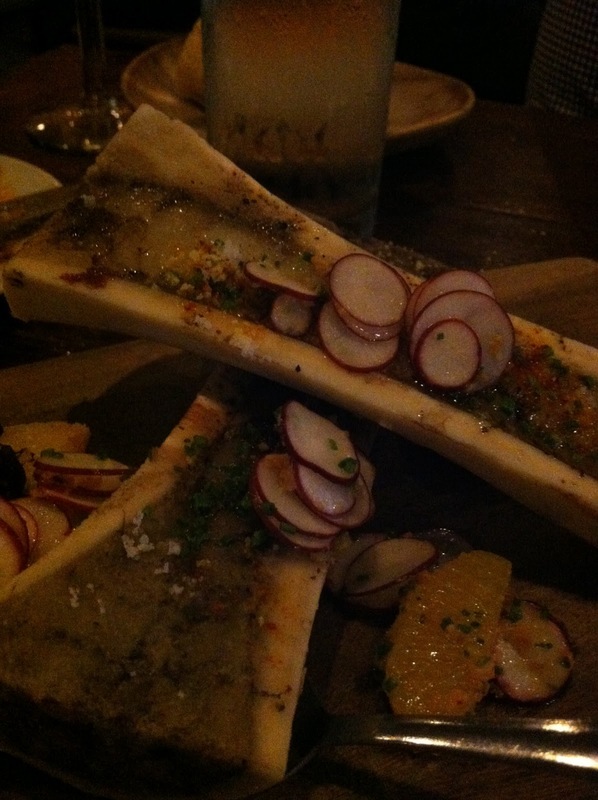 Half of the table, myself included (obviously), shared the asado de huesos: roasted bone marrow with radish citrus salad and oxtail marmalade. 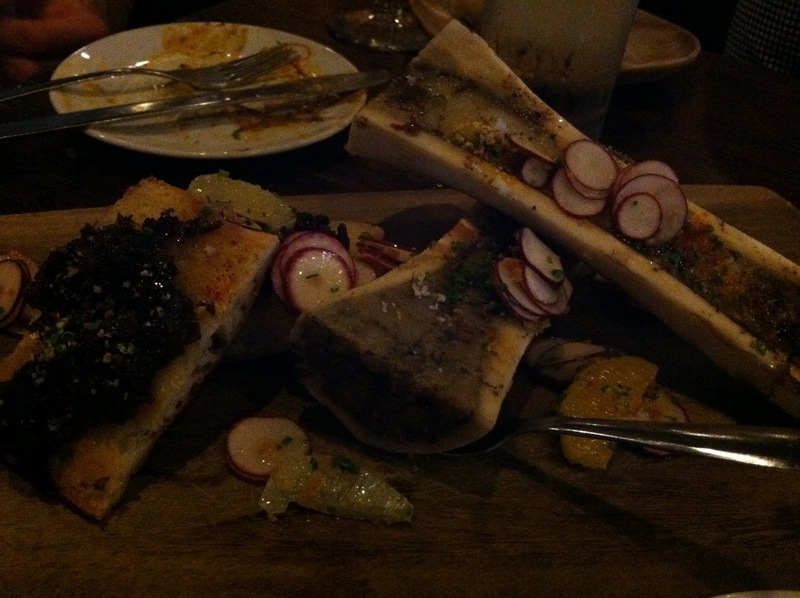 This was my friend's first time experiencing bone marrow, which he concluded tastes like "butter, but on crack". Valid comparison. This dish ended up being my second favorite of the night, but mostly because of the perfect oxtail marmalade, which was just sinfully delicious. 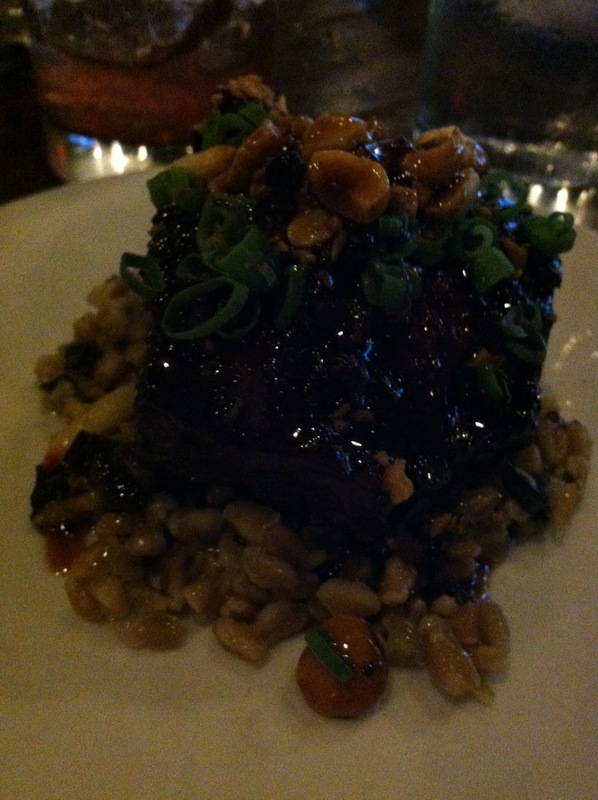 Our second to last course was the costilla de buey: kabayaki glazed short ribs with chilled farro, cucumbers, radish and hazelnuts. While ordering, this was the one dish I was most excited for, but sadly it was not my favorite. Although the meat was perfectly prepared and tasted like soft beef stew in each bite, the glaze overpowered the cucumber, radish, and hazelnut taste, and we were left with only a pinch of a hit of salt as a finishing taste. 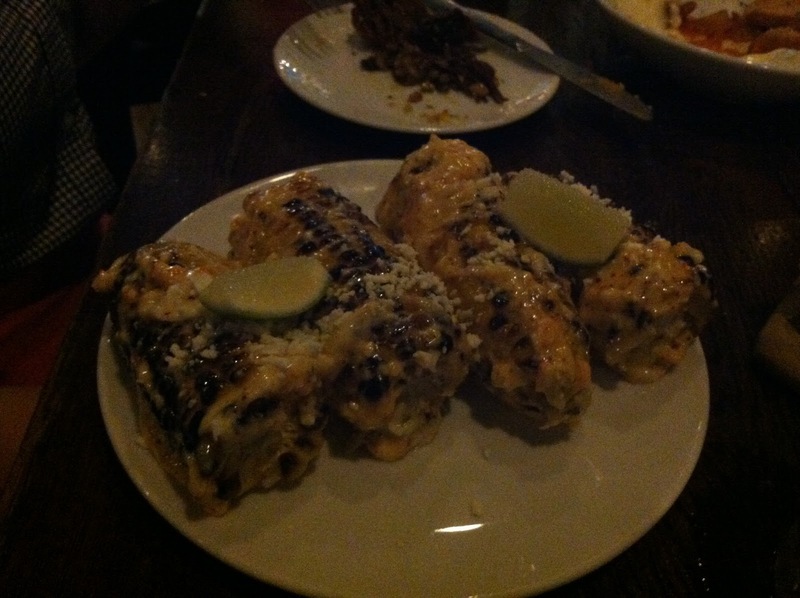 Our final dish were the famous house special maiz asado con aioli y queso cotija: grilled corn with aioli, lime, espelette pepper and aged cheese. Dining with a Texan, he did not seem fazed by the layers of heaviness propped on this special. 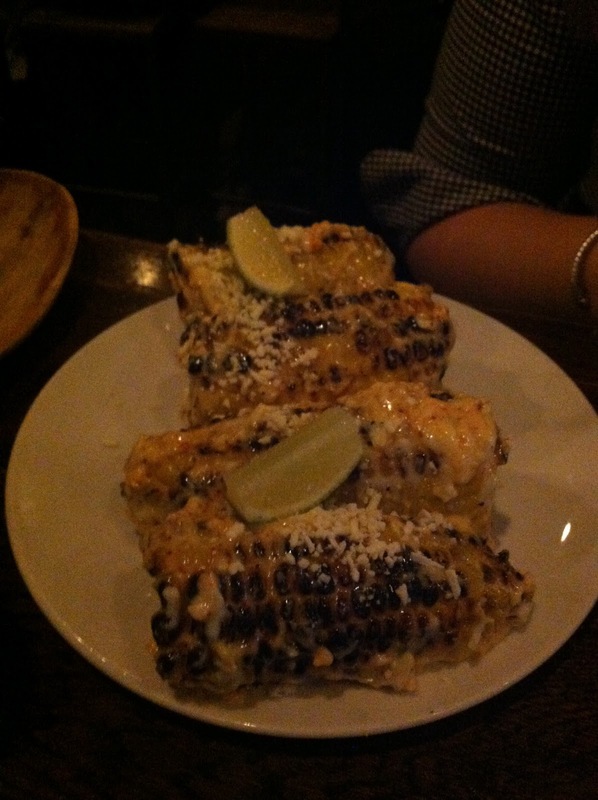 On the other hand, the Northeasterns were quite intimidated, used to our steamed fresh corn with a sprinkling of salt and a light slather of butter, this was quite different. With the charred bits tasting of popcorn, the taste was there, but this was the heaviest vegetable I've ever eaten. 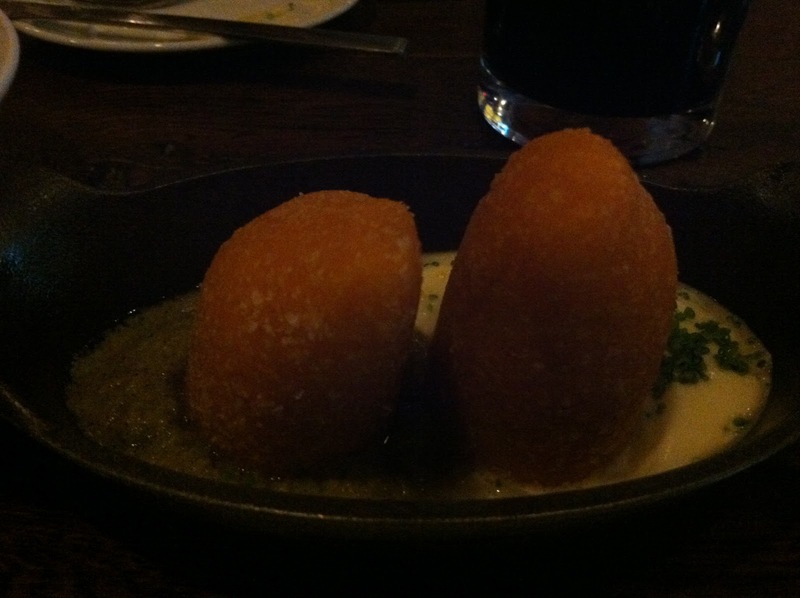 Also, this was the ugliest dish to eat, as we were left wiping slathered aioli off our faces, not so cute. Although full at this point, we asked to just see the desserts, but the menu is verbal and consists of cheese or CHURROS. 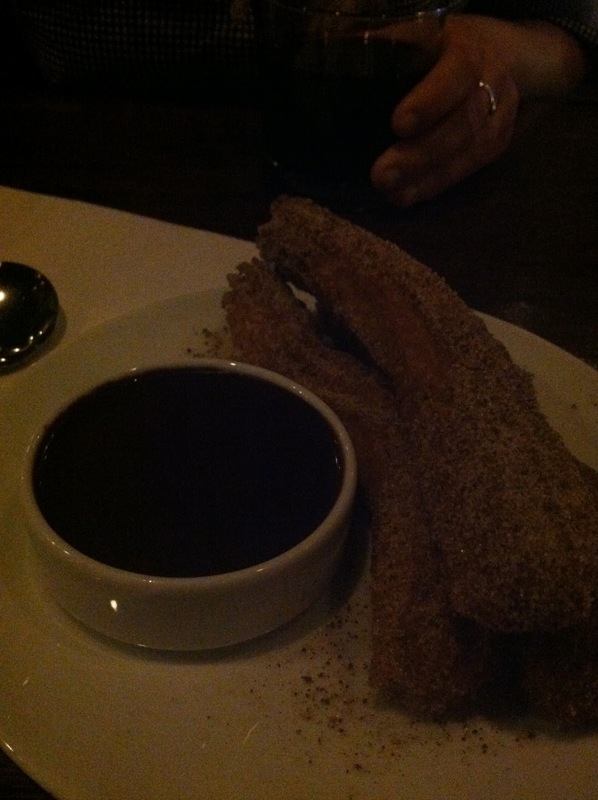 Obviously we had to say yes to churros...I mean, really, who says no to churros? Doused in cinnamon-sugar and served with a thick chocolate sauce, this dessert was just the heavy cherry on top of the heavy dinner we had just ingested. The choice to get churros was definitely our fault, and I take responsibility for that fault. As we rolled our way out of the restaurant, we compared dishes. 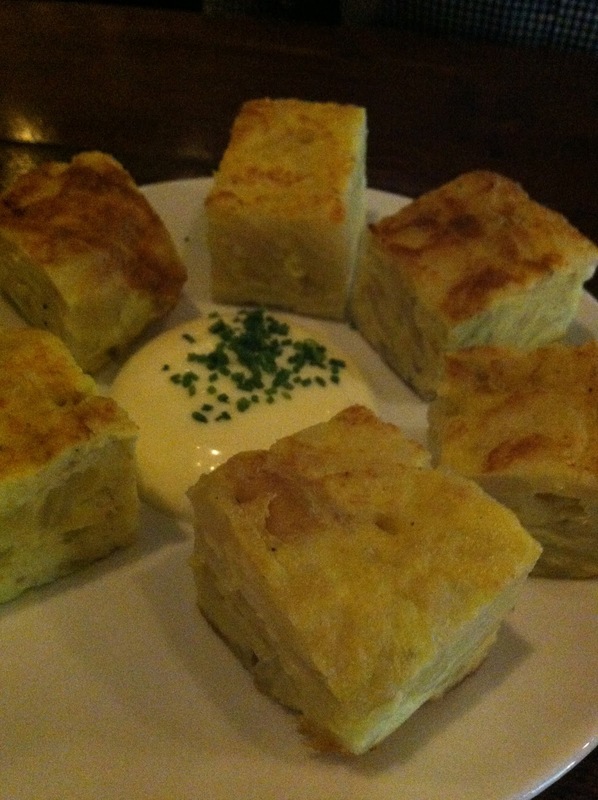 Some preferred the empanadas, we all agreed on the tortilla espanola, and we disagreed on the corn. In the end, I was a bit let down, and so torn. I had such high expectations, and there were definitely some shining dishes (oxtail marmalade, yes please), but we all left so uncomfortable after eating such heavy dishes (with so many including aioli), that I'm not sure if I will return. If I do go back, I will definitely be ordering more off of the left side of the menu, the smaller bites, and the cold dishes, to attempt to try some lighter dishes they offer. For more information on Toro, visit their website. A great piece of information is the fact that they serve the entire dinner menu on their lunch menu as well, so if you're in the area, stop in for your chance of a less-crowded spot for a lunch!